Whatever our reasons for Brexiting, only a wrong person would question the cultural offerings of Europe. Separated by a bridge, a river or most often an imaginary line, each country on the continent brings with it a richness of history, outlook and beauty – and when I discover there are four countries surrounding one serene lake, well, I’ve hit the Europhile’s jackpot. Around 260km in circumference, Lake Constance is flanked by Austria, Germany and Switzerland, with the curious country of Liechtenstein not too far away. Apart from the shores, the lake is neutral territory – which means you can set up an island in the middle and declare yourself Queen, which I nearly do. And while there are plenty of activities taking place in its waters, like the attraction of ‘vegetable island’ and various boat trips, it’s what’s around the lake that’s most fascinating. It could be the most international trip ever: you can start your morning in Germany, have lunch in Liechtenstein, and an evening drink in Austria. But for a more leisurely pace, here’s our tried and tested method to visiting four countries in four fun-filled days. The first sign of Konstanz is a sighting of its namesake lake in the distance. About an hour away from Zurich Airport, I’m too enamoured with Swiss architecture and the Sound of Music-style rolling hills to track our movements on Google Maps as usual. As the rest of the town comes into view, I know I’m in for a treat; its lakeside buildings are carefully preserved, looking like something from an imagined film set than a real-life town, small but bustling with activity. Near enough to Switzerland, which remained neutral in the world wars, many of its buildings are left in tact, and so it has an unusual mix of ages and styles; incredible-looking churches are dotted beside warm contemporary bars serving speciality craft beer or vegan food. 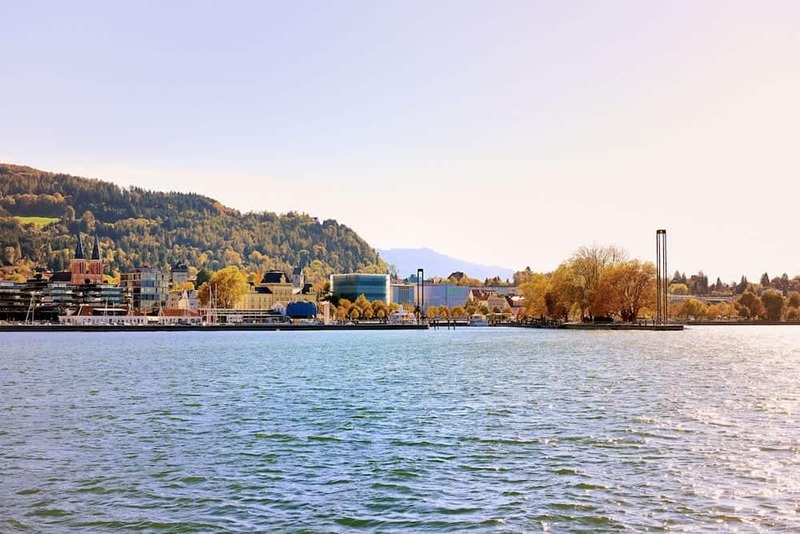 The proximity to Switzerland also helps its affluence – the Swiss pop over the border to do their shopping, leading to higher-end shops and a heaving city centre. It’s impossible to resist a walk around the lake shores. Facilitating this are green spaces to admire both the views and crystal-clear waters (so clear that fisherman complained the lack of fish food was affecting the size of their haul). Curl around the lake, along a path well-used by joggers, cyclists and walkers, and l reach Riva Hotel, a stunning five-star design hotel that offers lakeside views from its rooms, restaurant and rooftop pool. It’s here that I have one of my favourite meals of all time. In my irregular experience of Michelin star dining, the higher the grade, the higher the formality and painfully attentive service, which doesn’t suit the relaxed surrounds in which I prefer my meals. But in the two-starred Restaurant Ophelia is unmistakably warm and inviting. When I’m offered a glass of Champagne to begin and absent-mindedly ask if they have any local ones (a traveller’s tic), not even a flicker of disdain appears on the waiter’s face – which is more than I could have promised in the circumstance. Following the very French champagne, out comes course after course of deliciousness. 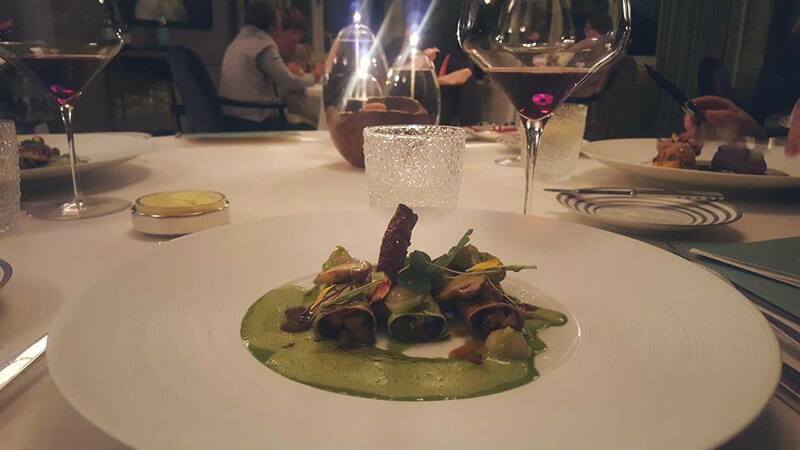 Some are palate cleansers, others are amuse bouches, some are actually part of the four courses on the tasting menu. The final flourish of a million desserts nearly makes me cry with gratitude; in a meal of a perfect artichoke dish, creamy, torn mozzarella, and artful kiwi, the surprise mini-crème brulee – an indulgent dichotomy of creamy and crunchy – proves to the unexpected highlight. At €120 (£100) for the four-course tasting menu (or €105/£90 for the veggie version that I enjoyed), I know I’ll be back. For now, I’m glad I’m staying in the hotel, so I can roll back to the room and ready myself for the next country. Walking up still on a high from the night before, it’s straight off to Lichtenstein. In doing so, we leave Germany, enter Switzerland, then leave Switzerland, but I only realise this when my lovely driver mentions it at the end; for all intents and purposes, it’s a scenic 90-minute winding drive through towns and country. The capital of Vaduz lies at the foot at a wall-like mountain, making for quite a backdrop. 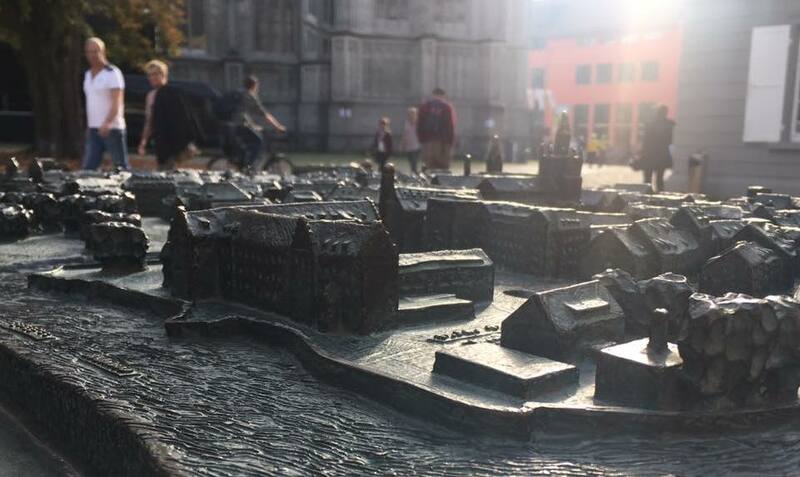 The country is tiny – its population is just 38,000 – and you might guess that when its Parliament, government offices and cathedral are lined up next to each other on the same street. For a country that size, it packs a punch. In the Hilti Art Museum, alongside thought-provoking installations and contemporary paintings, works by Picasso and Gaugin are given equal weighting. With the Tate Modern on my doorstep it’s hard to be impressed by contemporary art galleries, but I’m caught off-guard here. Almost opposite the Hilti Art Museum, the National Museum speaks of its history through its royal family, with each of the regal-looking princes painted, and their contribution to the independent state explained by a guide. The surprises don’t end there – on entering the vault-like entrance of the museum’s treasure chamber, the darkened room that lay beyond is spectacular. There’s a replica of 1626’s Ducal hat of Liechtenstein (after the real jewel-studded crown ‘went missing’ a few decades later. Hmm.) and real moonstones. 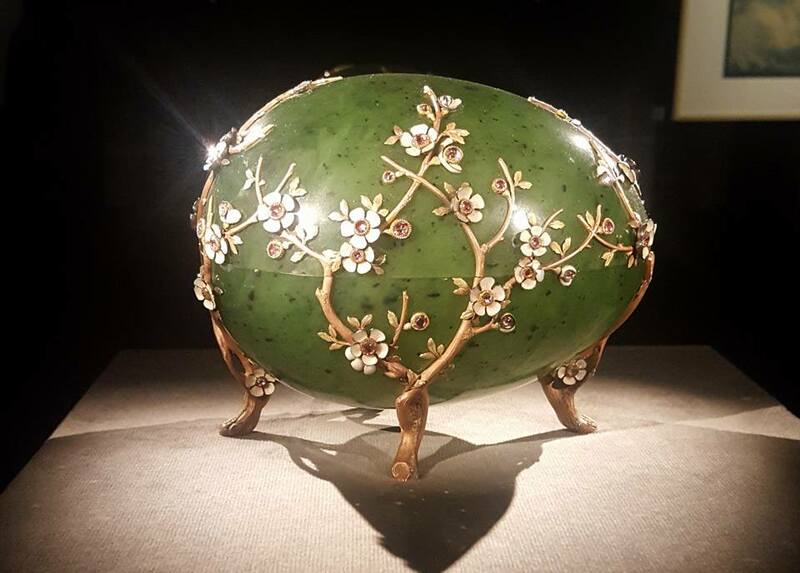 But the main attraction is a selection of Liechtenstein’s 4,500 collectable eggs, including the largest Faberge egg in the world, encased in lit glass that makes the rare rose diamonds shine spectacularly. There’s enough in Liechtenstein to keep me busy for days longer: the prince’s castle, on the foothills of the mountain, can’t be visited but I’d sure like to go up there anyway. 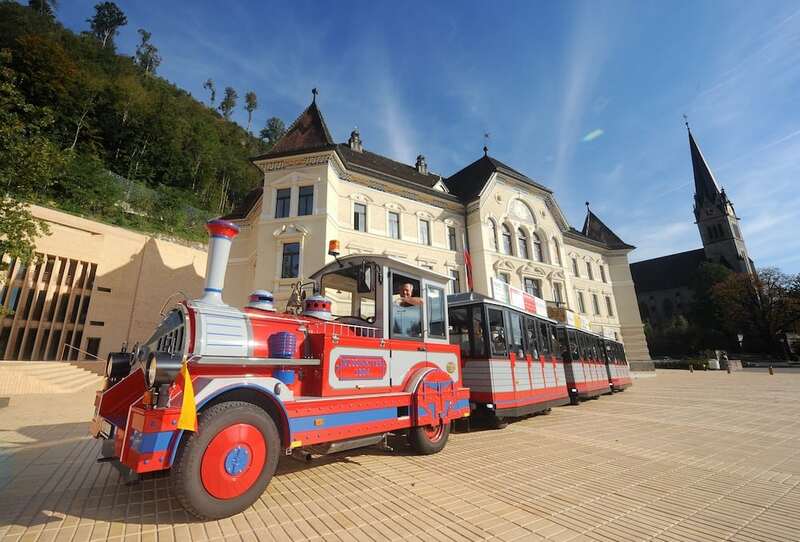 They’ve also a city train, a chairlift and wine cellar included with their Adventure Pass. And the luscious autumn colours mean I could do with a hike it its outskirts. But for now, a comforting meal of Käsknöpfle – Liechtenstein’s national dish of gnocchi-type pasta and cheese served with apple sauce – along with spezi (a half-orangade, half-Coke concoction that’s normal here, apparently) is enough to satisfy me for now. Burp. So to Bregenz. It’s a mere half an hour drive, but also a world away. Perhaps because of the lakefront activity, or the presence of a busy high street with a Spar and C&A, it feels like we’re out of a magical country and back in Europe proper. It’s here that I get my first bird’s eye view of the lake; the Pfänderbahn is the cable car that climbs up for a panoramic view of the lake and 240 mountain peaks around it – on a clear day, you can see the Alps in the distance. It’s a calm place, with a contained population of aerodynamic cyclists preparing for their run down, families checking out the wildlife park, and locals or tourists taking obligatory selfies every which way. 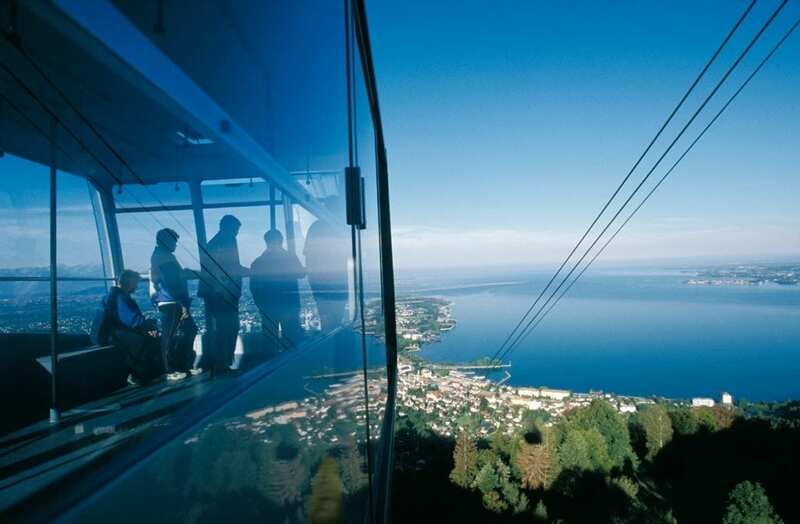 But the real gem of Bregenz isn’t visible up here: I have to head back down, to the lake, and walk along the promenade to see the incredible stage for its annual summer festival. 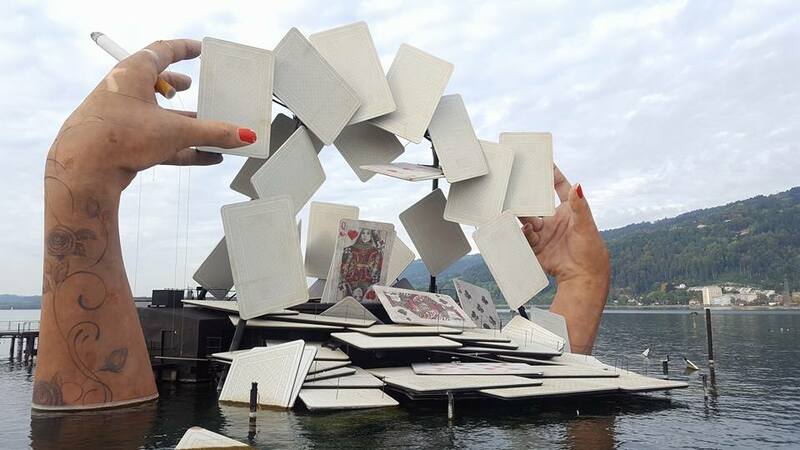 Forget what you knew about stages; every two years, Bregenz reimagine it and create what’s basically an art installation in the shallow waters of the lake, on which operas and musicals are performed. It’s all the more impressive IRL. A public place at all other times, groups of people hang out in the amphitheatre on a sunny Friday evening, suggesting its popularity as a social centre. The nearby lakefront bars, with a view of the setting sun over the lake (Bregenz has a benefit of being west-facing) is enough to tempt me for an aperitif, but staying strong, I opt to freshen up for a meal at Zum Goldener Hirschen, part of my hotel, Weisses Kreuz, and also the cosiest, cutest restaurant I’ve come across. The oldest restaurant in the town, the traditional Austrian tavern is heaving when I enter, and buzzing with a wintery warm atmosphere. Late with the reservation, my pal Jennie and I are quickly offered a drink while we wait (“they know that a glass of Prosecco fixes everything,” she notes). And it’s worth the wait: the service is personable, the wine list is as considered as their many beers on offer, and my main of cheese and spinach dumplings are both generously portioned and flavourful. It’s a wonder there’s room for an apple strudel dessert, but a testament to both their cuisine and my greediness that there’s not a bit left on the plate. The last of the whistlestops around Lake Constance isn’t, in fact, by the lake. From Bregenz, St Gallen is a half-hour picturesque train ride away: ideal for daytrippers from either location, or for a longer stay to investigate more fully. There’s plenty to see in Switerland’s eighth largest city: its rich textile history is captured in the enjoyable Textile Museum (with the temporary exhibition on the textiles of the future a bonus); the library of the UNESCO-protected Abbey of Saint Gall, with original gilded décor and hundreds of handwritten texts is a delight that fills me with the same awe I felt in the Vatican City; and the cathedral is a delight, as cathedrals often are. But it’s best enjoyed with an amble around. To admire the expanse of the city, climb to the hilly viewpoint of The Three Ponds. 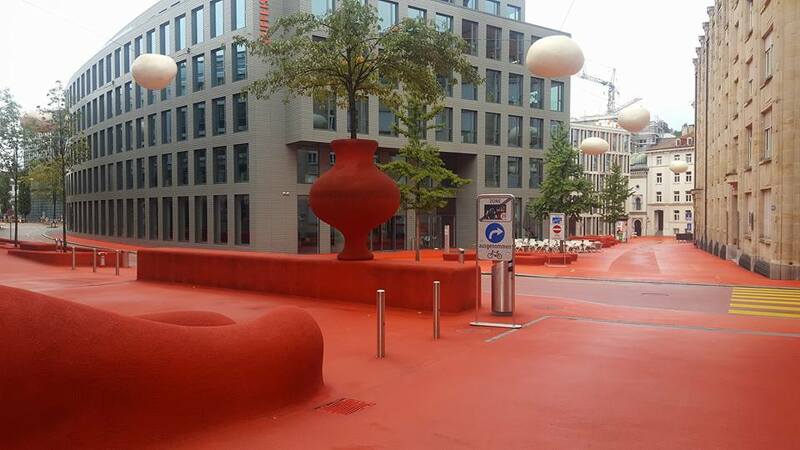 To see urban art with a difference, just a few metres away from my upscale hotel of Hotel Einstein – which features an old school cigar lounge with leather sofas and wooden-panelled walls, no less – is an immersive art installation from Pipilotti Rist, in which she’s turned the urban area red. Oh, Pipilotti. 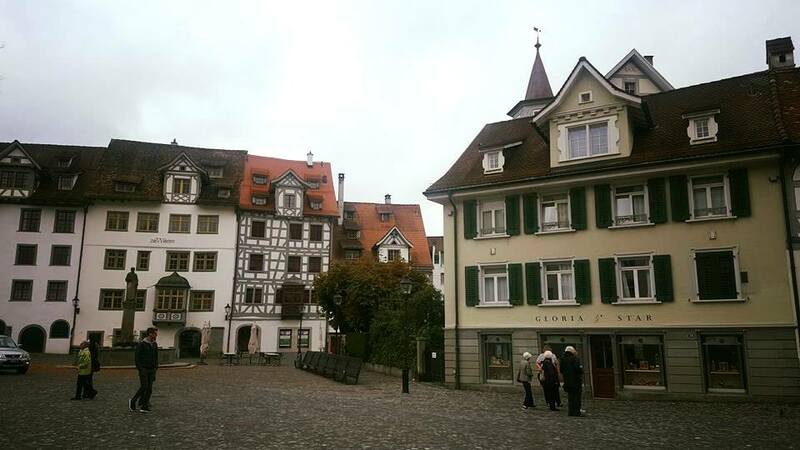 Nearby, the Old Town is packed full of Swiss-style buildings, their wooden beams emphasising their age and endearing lopsidedness. It also has a number of watch shops (good for window shopping at least), plenty of chocolate shops for gifts, and a glut of snack bars, restaurants and cafes. The biggest queue is for Gemperli, serving succulent, St Gallen sausages – the pride of the town. But for something more relaxing, I tramped up the old, wooden steps to the first floor of Zum Goldenen Schäfli, a gorgeously intimate restaurant with low, sloping wooden ceilings and rows of tables lined up with chattering friends unwinding with wine, seasonal food and exemplary service; the staff feel like friends at the end of three courses. It’s a fitting finale to an eye-opening trip. While Europe may feel further away than we’d like, Lake Constance is a reminder of the harmonious nature of neighbouring countries, where similarities and differences enrich us all. Long may it continue. Find out more about visiting Lake Constance and its surrounds.